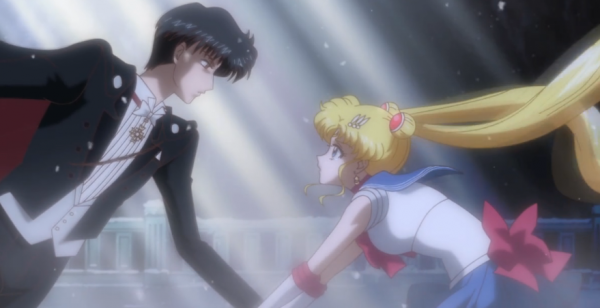 So as we all know the most recent episode of Sailor Moon Crystal aired a few weeks ago and I have to say that this episode was definitely one of the more exciting ones due to the fighting that was going on. Although I still can’t help but not entirely like where exactly this show is going. I miss the wacky, crazy, humor side of the show and I don’t see that with this new series. Now I know that this show is based off the manga but even so myself and one of my friends had to check and see if what had all happened was in the manga since I was a little rusty on the manga contents. But anyways this is a review about episode 12. 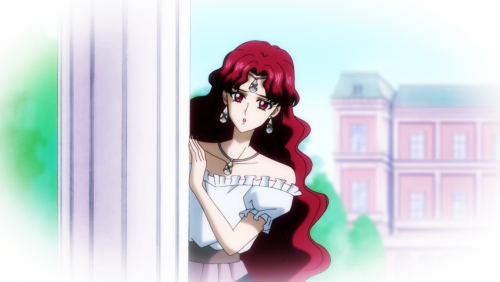 Now in episode 12 after it looks like Queen Beryl is defeated after revealing that she was in love with Mamoru during their past lives and was stabbed by Venus. 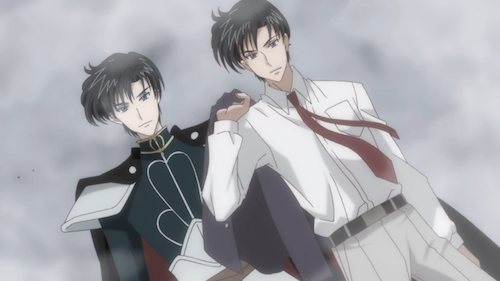 Mamoru runs away and Usagi changes after him where they go to the brisk north. She continually tries to get Mamoru to come back to hear by using the locket that she has and then ultimately brings him into a kiss and then stabs herself. This is where the episode ends and I couldn’t help but have a look of shock on my face when that happened. While I haven’t been overall really liking this series that part definitely makes me want to watched the next episode. But did you guys this of last weeks episode? Also would you guys like me to post more since I only post on here twice a week? So leave your comments below regarding both questions and happy watching! Alright I know I usually post an anime review on Tuesday’s and Thursday’s but since today is Christmas I decided to not post an anime review. But I hope that everyone has a wonderful Christmas! Enjoy spending time with friends and family and I hope all your wishes, dreams, and hopes come true today. Once again Merry Christmas and happy watching! Alright so I had started watching Monthly Girls Nozaki Kun after reading the synopsis of it and I found it to be pretty interesting. Well I’m sorry to say that I didn’t find it very interesting. It’s not very often that I don’t finish an anime but this was one of those times. At first I found the anime to fairly sweet with the main female Chiyo being very cute but also really funny and the main male lead Nozaki being the oblivious male he is and not noticing Chiyo. 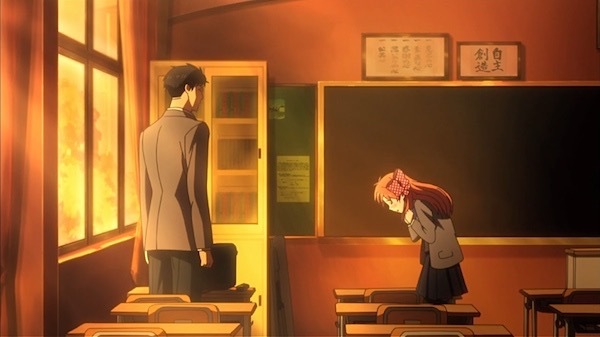 But Nozaki is pretty focus on his career of writing shoujo manga and plus Chiyo didn’t exactly phrase her confession correctly when she did by saying she was a fan of his instead of saying she had feelings for him. Now while you could tell that Chiyo had feelings for Nozaki it just seemed like there wasn’t a lot of romance going on in this anime. I was anticipating for it to happen at least a little bit but after being more than halfway through I just completely gave up. Not only that but I found the story line hard to follow and at times not understanding what was going on at all or the plot of the story. Now I know many people have enjoyed this anime and while I didn’t I may give the manga a chance to see if that is possibly better than the anime. So anyway if any of you have watched this anime then let me know your opinions of it and if I should give it another chance. For those of you who have read or are reading the manga let me know if it’s worth reading and better than the anime. Well that’s it for now so enjoy and happy watching. So I know that In many anime’s that I have watched there is usually an evil villain or at least someone that your supposed to not like. So I decided to post about who is your favorite villain. I actually have two favorite villains and they are vastly different from each other. 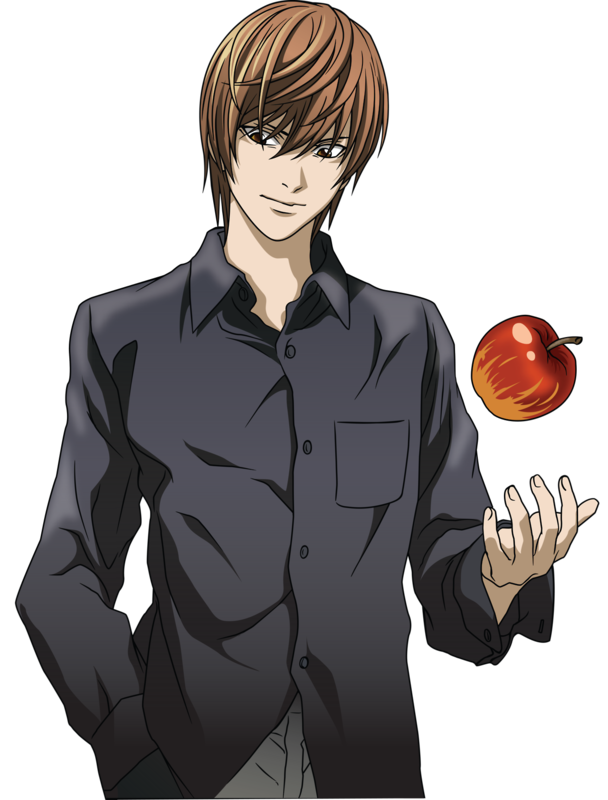 My first favorite is Light Yagami from Death Note. Light actually started off trying to do something good and then became corrupted and the villain of this anime. Now us as the viewer saw the story from Light’s eyes which was an interesting point of view. Now not many people want to consider Light a villain but for me he fits the villain category since he did some pretty evil things so cover his tracks. 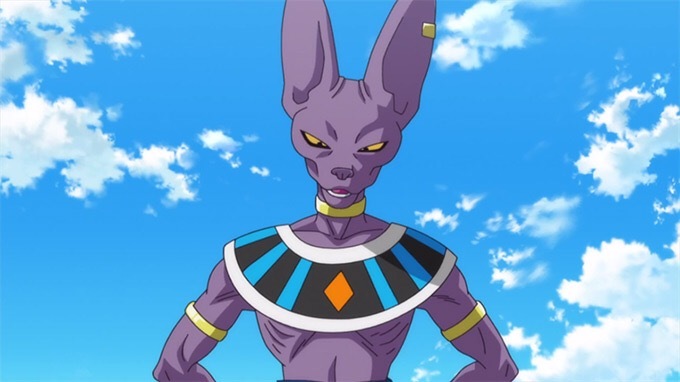 The second villain that is my favorite is actually Beerus the main villain from the Dragon Ball Z Battle Of The Gods movie. Even though he was the villain I couldn’t hate him. I think it’s because he was very funny and for a villain very likable. Even though he is set out to destroy the planet he has fun while figuring out if he is or not. So those are my favorite villains. So now I would like to know who your favorite villains are and why? Also once again happy watching! So since Naruto is now over I thought I would ask a question regarding what Naruto death did you find the saddest or most surprising. For me the saddest death had to be Asuma’s since we saw him die and then Shikamaru’s reaction after Asuma’s death. 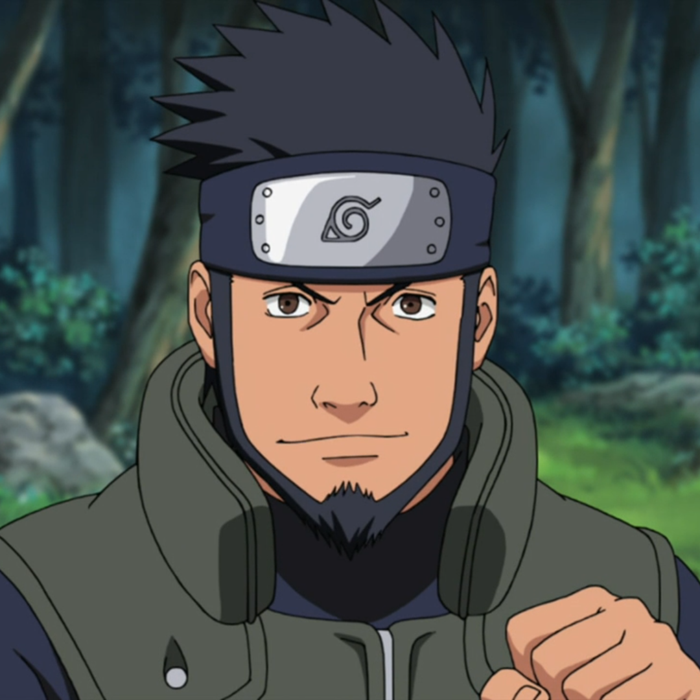 Even though Asuma wasn’t a huge character in the Naruto universe he was still a memorable character. 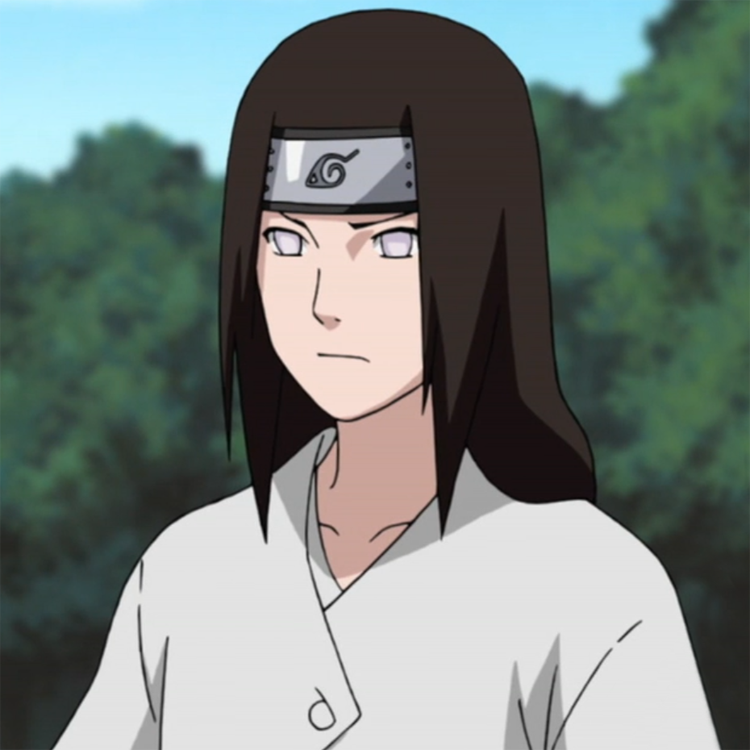 The most surprising death has to be Neji’s mostly because Neji while he was apart of the Konoha 11 you kind of didn’t like him due to his attitude and how he treated Hinata. But Neji’s backstory was definitely pretty said and at the end when he dies for Hinata it made you really like him and realize that he wasn’t a bad guy. So that for me was the most surprising and saddest deaths to me in Naruto. What about for the rest of you? Leave your comments below about what you think. 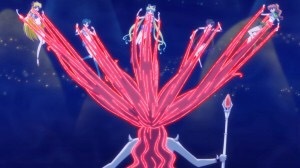 So this weekend we were finally able to see a new episode of Sailor Moon Crystal and I enjoyed some aspects of this episode but there was also a few that I don’t enjoy. The main thing that I did like about this episode was finally being able to see Sailor Venus’s transformation. It was the one transformation that many of us haven’t had a chance to see. But that was probably the only thing that I liked about this episode. 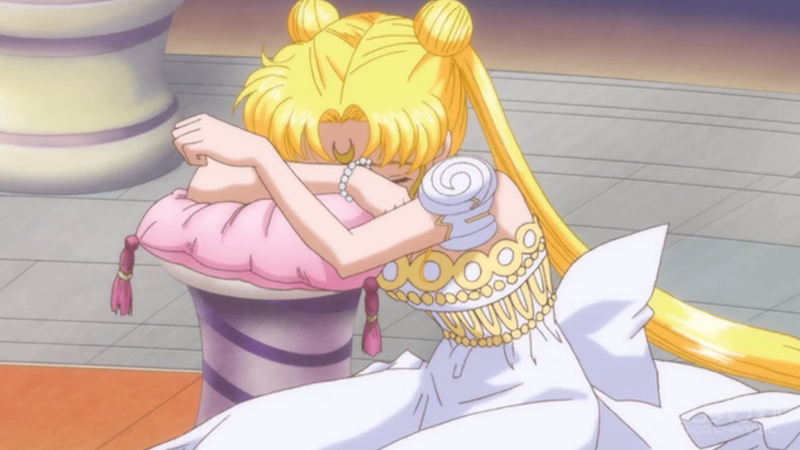 I was talking with one of my friends about this episode and we both couldn’t understand how Usagi didn’t get mad when her friends were all beaten up my Mamoru but when Luna got hurt she got angry. She should have gotten angry a lot sooner. Not only that but it took her so long to transform plus seeing the other transformation sequences just made everything really boring. The sad thing is that Queen Beryl is actually kind of likable in this series. Maybe it’s because she hasn’t been in the series all that much I’m not entirely sure. But overall it was actually good to see her appear. I think overall this was probably my least favorite episode so far since not a lot happened. But overall at this point I’ve been kind of disappointed in this series. I was very excited for the new series but with the route that they chose I’m not really liking it. None of the Sailor Scouts have a personality so far where you you can choose which scout you like the most. They all are the same and the show doesn’t have that comedic flair like the original one did. I’m hoping that the rest of the series gets a lot better or if there is another season that it get a better upgrade as far as story line and character personalities are concerned. So there is my review I hope that you all enjoyed it and once again leave you comments below because I love to hear what you all think.